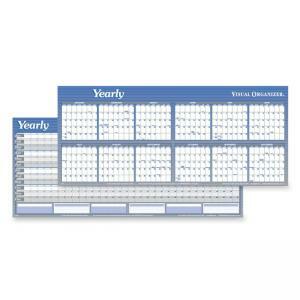 Visual Organizer Large Dated Yearly Planner - 60" x 20"
Media Size: 60" x 20"
Wall planner offers an erasable surface for detailed scheduling. Planner is dated on one side for exact planning and undated on the other for customized planning. 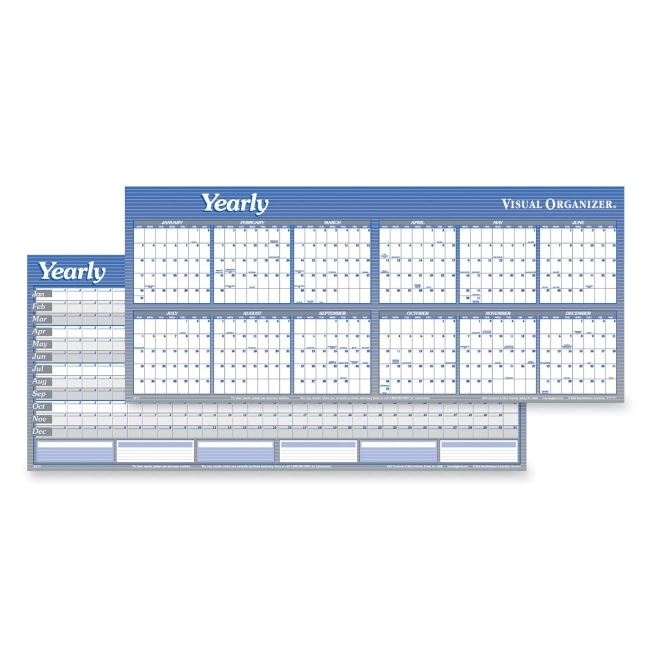 The yearly format in six-month segments includes unruled daily blocks (1-3/8" x 2") to write in deadlines and milestones and then wipe off the erasable surface when necessary. The undated side lists each month from January to December horizontally with unruled daily blocks (1-3/4" x 1-1/2"). Wall planner includes a red marker and a black marker.